This is the first of a series of posts on how to provide students with help when preparing a reflective portfolio. It is based on my experience of having completed several such tasks as a student of education, and tutoring computing students who are required to prepare a portfolio. 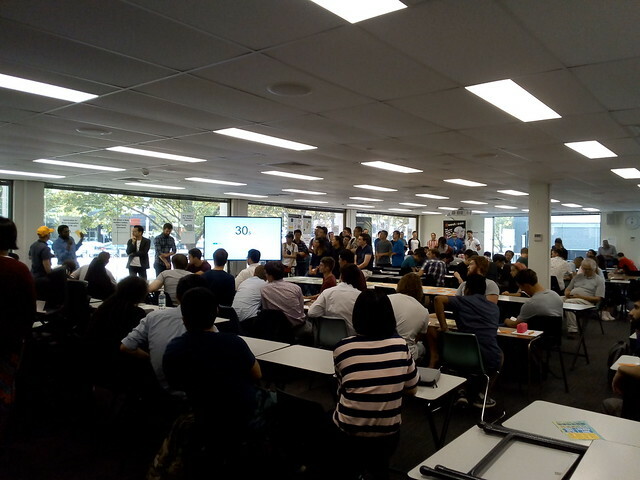 Towards then end of their degree, computing students at the Australian National University may undertake a practical project, either as part of a team, or an individual internship. The last assessment task for the practical project is to reflect on your learning. Reflection is a useful aid to learning, and a valuable skill for a professional. However, my experience is that computing students have difficulty with this, and need help. The TechLauncher group project requires a Work Portfolio Package and the Computer Science Internship an "individual reflective report". This reflection makes up a significant part of the overall assessment (group project 20%, interns 15%). Computing students, and others in STEM disciplines, undertake courses on how to carry out analysis of problems, and present evidence. However, they are rarely asked to examine themselves as a subject. In addition students undertaking group projects, or a workplace internship, are working with others on a collectively set goal. It is difficult at the end of this collective work to switch to a solitary activity. 1. Progressive: Rather than something required at the end of a course, break the portfolio preparation up into a series of exercises. In this way students can be provided with time to reflect, and benefit from formative feedback on their work. However, for the student work progressively, there has to be an incentive for doing the exercises on time, by making this a condition of course completion, or each part of the assessment scheme, or both. An example of what will not work is to ask the student to complete a reflective journal, but not provide feedback or assessment until the end of the course. As a student of education, I was asked to keep a journal, but like most of my fellow students I did not pay much attention until three years later, at the end of the program. 2. Collective: Students will benefit from peer feedback on their reflections. The student benefits as much from providing feedback, as receiving it. However, students will need assistance in how to provide feedback if this is something they have not had to do before. 3. Scholarly: Students will benefit from learning a little of why and how the reflective exercise is useful to them. While not attempting to turn every student into a teacher, it would be useful for them to learn a little of the theory behind the reflective exercise. As MacKrell, Mhaisuria and McDonald (2013) point out, some of the skills interns learn, and report via their portfolio, are in the area of Skill management, specifically "learning and development" (as defined in the Skills Framework for the Information Age). It would be useful to have this listed in the learning objectives for the course, and then to point out to students this is a skill formally recognized internationally by the computing profession. 4. Limited: The value of a reflective portfolio should not be overstated. Claiming the portfolio will be valuable career tool is not likely to be believed by the student, and will not motivate them. Students will have undertaken years of disposable assessment tasks which they complete, and then discard, before moving on to the next. The portfolio exercises can be structured so each builds on the last, but even so it is too much of a leap of faith to believe any of this will be of use after the end of the course. MacKrell, Mhaisuria and McDonald (2013) researched the gaps between what a university teaches and what is required by industry. Perhaps identifying these gaps could be an explicit goal of the portfolio exercise for each student. Learning what they have yet to learn might be the most useful outcome of the exercise.